A Bulletproof Password: Is It Really Possible? 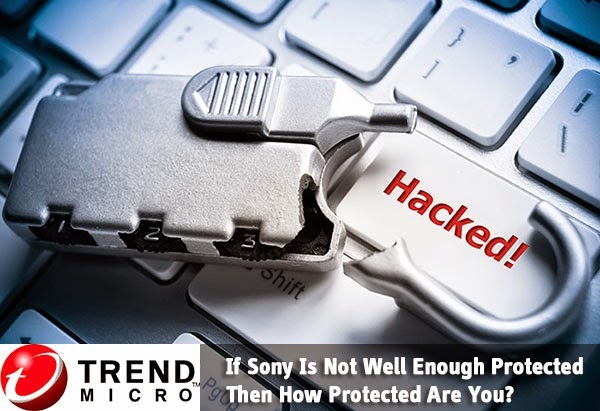 The recent Sony hack has everybody on edge, especially since it turns out that the files leaked also contained the passwords to a bunch of Sony emails, social media accounts and web server accounts. While, yes, it looks like so super powerful, pro-level hackers were hired to do the job, that doesn't negate the fact that Sony has some top notch security. And if Sony’s security can be breached to such a deep Wiki-leaks level, what does that mean for the rest of us whose security profiles are decidedly less intense? Note: We found this peace of information extremely useful for all MBT readers and loyal customers. Since we have moved our hosting to Cloud therefore we would keep you updated with all latest software tools that we use so that you could be equally benefited and sustain a secure online business. As someone who makes a living with music online, keeping your information and intellectual property safe is literally the key to your livelihood. Imagine what would happen if someone got access to your backing tracks or demos or somehow took your systems hostage. It’s scary, right? So what do you do? How do you keep your information and property safe? Most of the time, as simplistic as it sounds, keeping your intellectual property and account information safe is a matter of choosing the right username and password combination. A lot of people, in spite of the multitude of warnings against this, stick with a single username and password combination for every login they have. This is the worst thing you can do! Yes, keeping track of literally a dozen (or more) different username and password combinations is difficult, but it is not impossible. Even the people who do create a variety of username and password combinations aren't keeping those combinations very safe. Most of them are still doing things like keeping usernames and passwords on post-its on their monitors or are writing them down in other very easy to find places. Worse still, people are creating text files in which all of their username and password combinations are kept. Talk about giving away the keys to the kingdom! If you are worried about keeping those details safe but aren't confident in your ability to remember them, spend some time hunting down the best password manager you can find to protect them against hackers and other threats. The security software company Trend Micro says a password management system secures your browser and uses keystroke encryption to protect your passwords. Most companies, when you are creating your passwords, require you to use upper and lowercase letters, numbers, spaces, special symbols and the coordinates of your underground bunker. Believe it or not, that random assortment of letters, numbers and pound signs isn’t the super safe password that most believe it is. This is because most people still choose a single word and then “l33t speak” it to include the numbers, special characters, etc. A single word, even “l33t”ed out, is still relatively easy to hack. A much better approach, writes Null-Bytes, is to create a passphrase. This is where you string together a few words to create a really long password and then include all of the upper, lower, numbers, symbols, etc required by the server. The longer the password, the harder it is for a hacker to break and if you use a phrase, it’ll be easier for you to remember. Most people know, when that monthly email from PayPal turns up, screaming about account breaches, etc, that it’s a phishing scam. They know to go directly to PayPal using their web browser and not to click on anything within the email. Phishers, though, they’re getting more sophisticated. Phishers recently used text messaging to dupe Wells Fargo customers out of their social security numbers. GoDaddy account holders have also seen a spike in phishing attempts. Remember the rule: never click on anything in an email or a text that references one of your accounts. Never give out information over the phone or through the mail. Whenever you are contacted regarding an account, the best thing to do is to then contact the account holding company directly and talk to someone there. You can be safe online. You can protect your information. You just have to be careful and smart. The most successful data breaches aren’t huge like Heartbleed. They’re small and seemingly innocuous. Always keep your guard up! What are your views on creating a bulletproof password and ensuring 100% security of your online assets? Was your data ever compromised? Do share your precious views by posting your experiences. Peace and blessings! Good article , Mustafa Bhai write a complete e-book for newbies from A to Z on how to start , where to , what to and how to proceed then. Discuss monetization . Discuss improvements and resources from where he will come to know about any updates regarding blogging niche. No doubt your website is awesome and a lot of content is given here but its scattered abit and hence confuses newbies . If you could compile it to a from of e-book please.